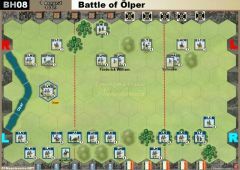 Victor’s reinforced French army faces off against a larger British/ Spanish army in superb defensive positions. The French solution—attack! Ruffin’s French division is wrecked in two unsupported assaults on the British positions atop the Cerro de Medellín. 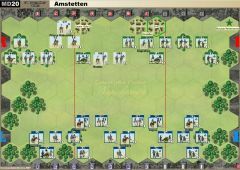 It is now mid-morning of July 28th, and the French commanders meet. They decide to launch concentric attacks. 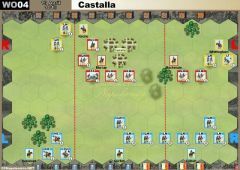 Victor shifts Ruffin’s survivors to the right and supports them with one of Villatte’s brigades. Sebastiani’s fresh division fills the gap. 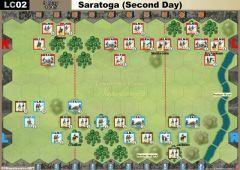 The plan is for Sebastiani’s division to attack first [see Talavera (French attack on British)]. 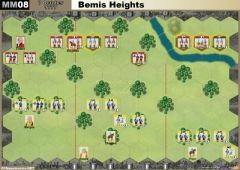 Leval’s division is to attack second following Sebastiani’s frontal attack against the Allied lines, but Leval’s troops lose sight of the French lines, and attack first. 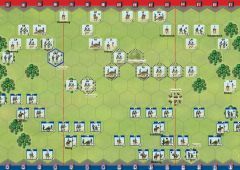 The French columns lose cohesion as they advance through the trees and emerge disorganized onto the open ground directly in front of the Spanish batteries on Pajar de Vergara. 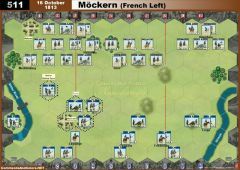 The French regiments still make some progress, but the central regiment finally breaks under the impact of the artillery fire. 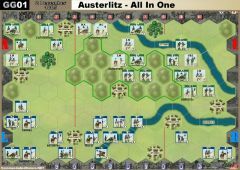 Seeing this, the Allies counter attack and Leval’s depleted regiments retreat to avoid being isolated. 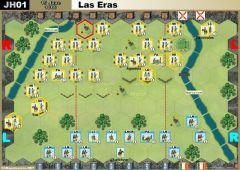 On the French far left, Milhaud, the cavalry commander, recognizes the strength of the Spanish position in and around Talavera and is content to skirmish with the Spaniards in this part of the battlefield. 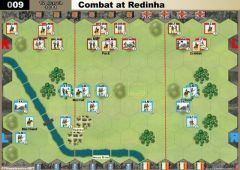 The British maintain their positions for twenty-four hours, and then retreat hurriedly when they learn that Soult and a second French army are marching to cut their lines of communication with Portugal. 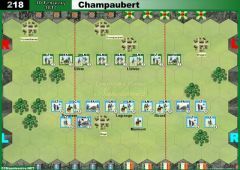 The French claim a victory, even though they were soundly beaten in all of their attacks. 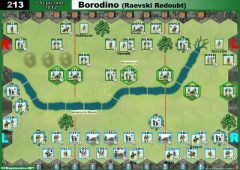 • The Portina Brook will stop movement, but does not cause any battle restrictions. Studying the boardgame scenario map wiith the aid of a magnifying glass, I am pretty sure that the two redoubt hexes should be hill-redoubts.